Home / oppofiles / videos / Oppo Realme 2 PRO-8GB (RMX1807) A.05 & A08 Stock Rom. Oppo Realme 2 PRO-8GB (RMX1807) A.05 & A08 Stock Rom. Oppo Realme 2 Pro (RMX1807) Stock Rom And Tool. 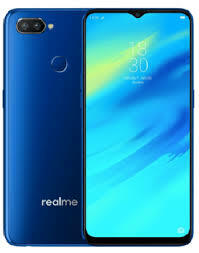 1# Download RealMe 2 Pro (RMX-1807) Firmware File. A# Download Real Me 2 Pro A.05 Stock Rom. B# Download Real Me 2 Pro A.08 Stock Rom. 2# Download RealMe 2 Pro (RMX-1807) Flash Tool. Oppo Realme 2 (RMX1807) Flashing Method. 1# Download Flash File And Tool. 2# Extrack Your Download Rom. 3# Here Aviable Flash File And Flashing Tool. 5# Tool Required Oppo Servic Ceneter Login Id & Password. 6# Input Id & Password. 7# Trun Off Your Phone. 9# Click Start Buttion On Tool. 10# Volume Up & Down Both Keys Click Then Input Usb Data Cable On Your Phone. 11# Now Your Phone Flashing Process Take a Time. 12# After Complite Remove Data Cable And Trun On Your Phone.